Our Mod Dream Pod zips together to make one of the most unique cat beds on the market. 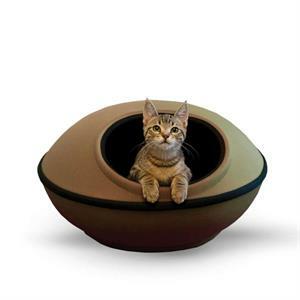 The large size accommodates any size cat and the privacy will be appreciated by all cats. The large opening makes entry and exit a breeze. Includes a comfortable polyfil pillow.